If you're hoping to watch March Madness on your Roku device or Roku TV, there's good news and bad news. The good news is that you can catch all the action live if you subscribe to certain pay TV services. The bad news is that you'll be limited in what you can watch if you don't have a pay TV subscription. Here are your options. 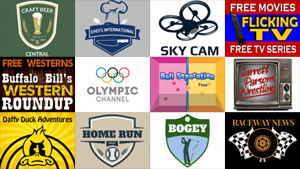 We reviewed 35 new Roku channels this week, with content in the categories of Food, Fitness, Games, International, Kids & Family, Movies & TV, News & Weather, Sci & Tech, Special Interest, Sports, Travel, and Web Video. 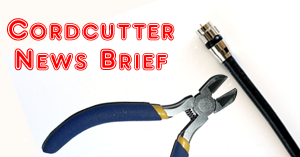 Cordcutter News Brief - The cloudy future of satellite TV, recommended 4K Roku TVs, FuboTV to stream NCAA tournament games live in 4K, Roku skill for Alexa now available, and more! In this week's collection of recent cord-cutting news items from around the web: The cloudy future of satellite TV, 4K Roku TVs that deliver on picture quality, FuboTV to stream some NCAA tournament games live in 4K, Hulu tips for streaming TV fans, Roku skill for Alexa now available, Redbox more than doubles cities With 4K Ultra-HD rental availability, majority of streaming-only customers primarily motivated by price, and more! 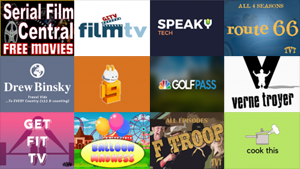 We reviewed 30 new Roku channels this week, with content in the categories of Food, Games, Kids & Family, Movies & TV, Music, News & Weather, Sci & Tech, Special Interest, Sports, and Web Video. While other streaming TV services are raising their prices, Sling TV is offering a deep discount to new subscribers: three months of service at just $15 per month for either Sling Blue or Sling Orange. This is 40% off the normal price of $25 per month. New subscribers can get the combined Orange & Blue package for $25 per month, discounted from the usual $40 per month. 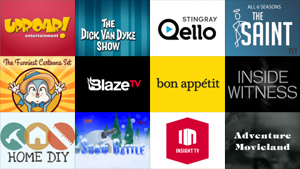 We reviewed 23 new Roku channels this week, with content in the categories of Comedy, Food, Games, Lifestyle, Movies & TV, Special Interest, Sports, and Web Video.